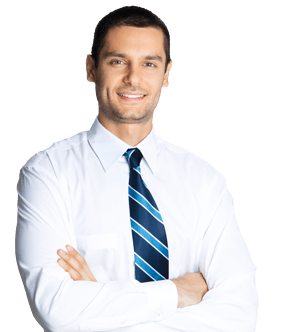 The extension uses the Ajax technology to calculate the shipping rate and cost for clients. 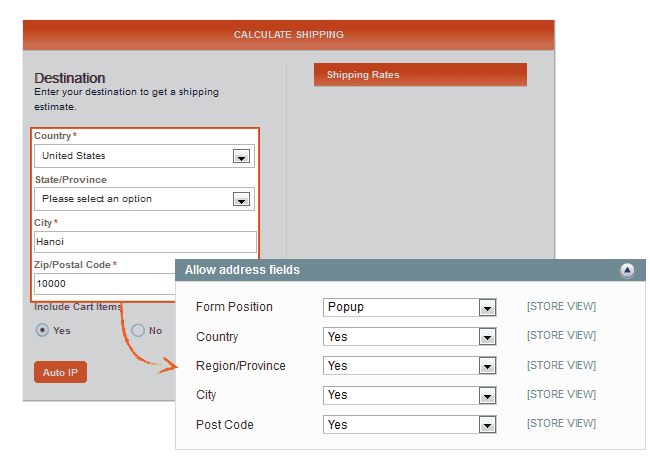 The functional button named “Calculate Shipping” direct clients to a form or a pop-up right on the current page that they must fill some mandatory information (address, state, province, city…). 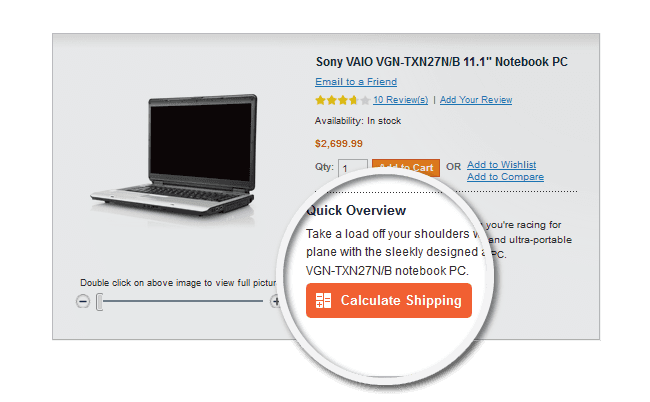 Step 1: Go to product detail page, click on Calculator Shipping button. 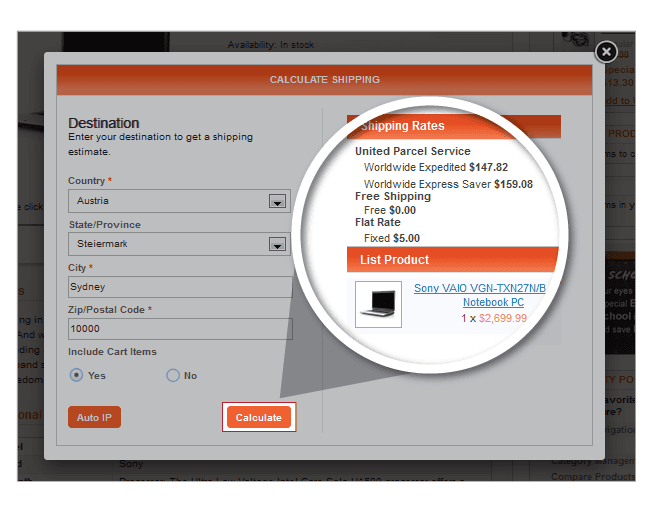 Step 3: Click on Calculator button to show the shipping rates. Option 2: Upload extension via FTP. Don’t worry if you don’t know about technology too much. If you have any question about installing our product, please read more in our user guide for more information. 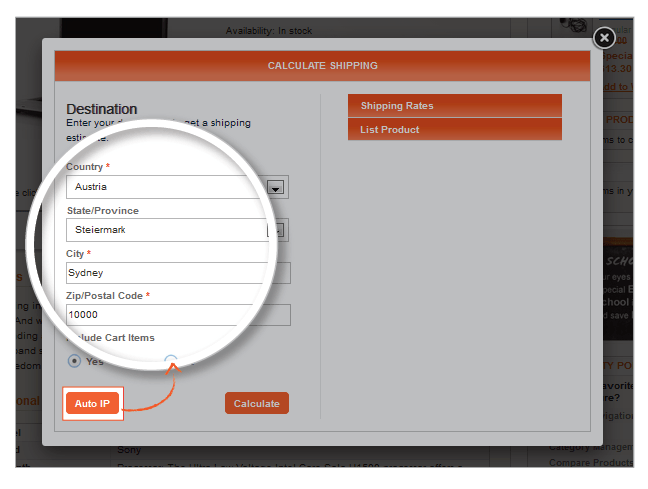 Calculate the shipping cost based on AJAX dynamically: With the Calculate Shipping Cost extension, shop owners can use any shipping method and calculate the shipping cost for every product. 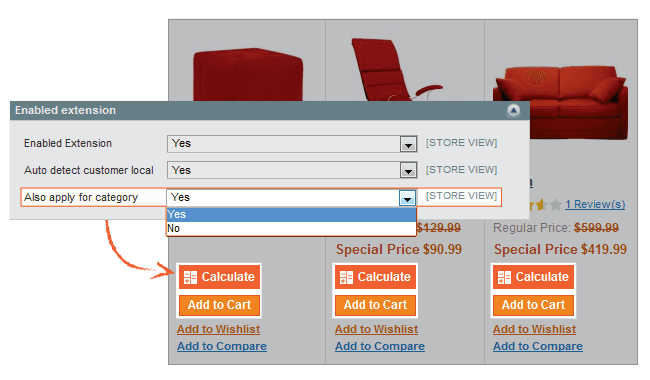 Inform your visitors how much they should pay for the product’s shipping service, so they can decide whether the price suits them before making a purchase. 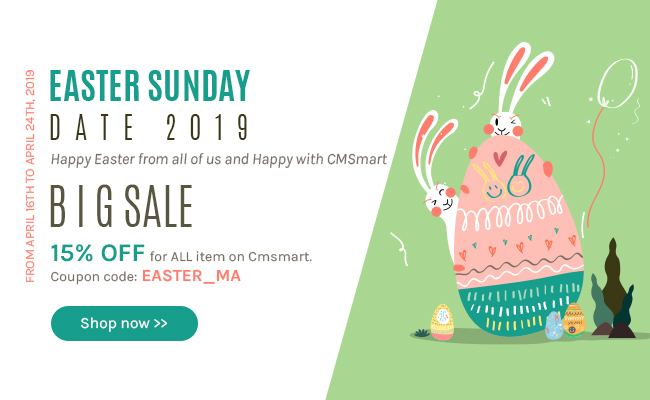 Can select a position for the extension: The extension is the original Magento solution that enables you to offer multiple shipping options to customers based on their locations. 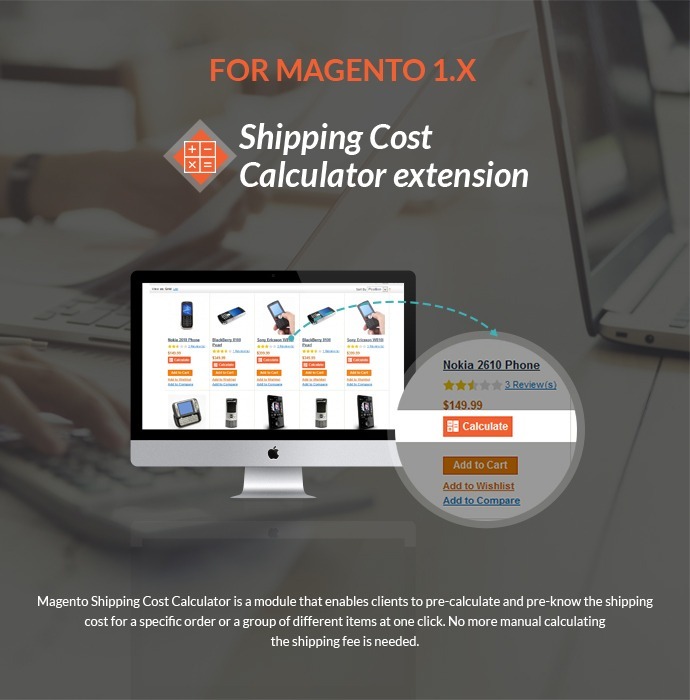 With Magento Shipping Cost Calculator Extension you can define different shipping rates according to the destination, shipping method and the weight, price or quantity of an item. Simple extension, it does what it says, I have been using it for 1 month and it is so good when address can be filled automatically based on customers' IP address. Really good extension! 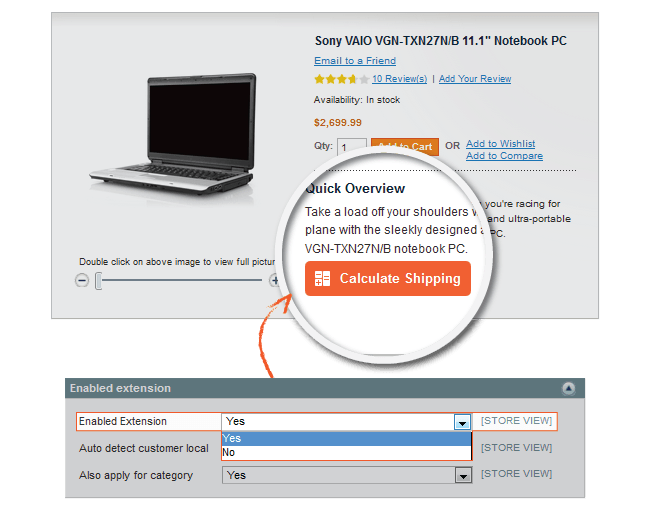 This extension allows us to get really picky with our shipping rules, which helps us offer our customers better deals on shipping. Over the top is the customer support. Good! Hello, If we are using the Amasty Shipping Table Rates. 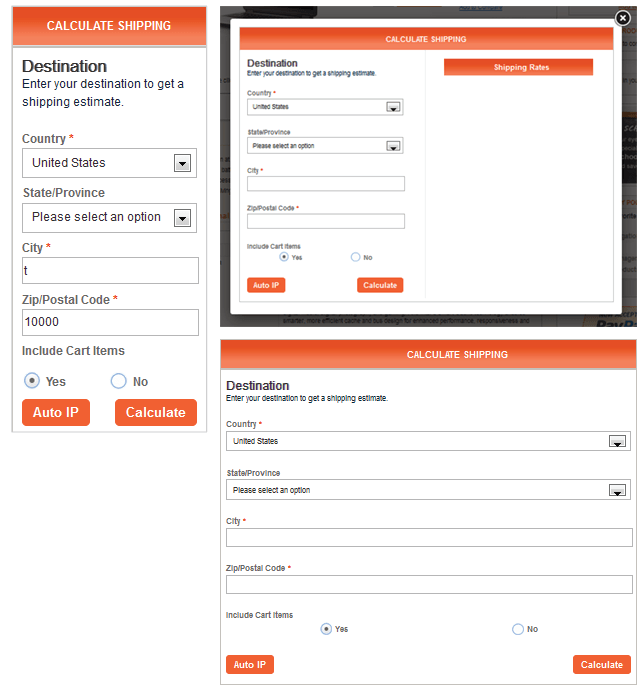 If we install your extension dos it work with Amasty Shipping Table Rates? We have not tested our shipping Cost module with Amasty module; Therefore, we cannot make sure 100% they can work well together. When I was checking your extension cost it shows me auto renewal. Does it mean we have to pay every year the cost of the license? + Auto-renewal: You have to pay 59.99$ for the first payment. You'll get 6 months of download, support and upgrade. After that for every 6 months, you pay a small fee, called recurring fee at 21.6$ to get more 6 months of download, support and upgrade.. If you don't like to pay the recurring fee, you can cancel it. + Standard Payment: You just pay once at 64.19$. You'll also get 6 months of download, support and upgrade. After 6 month, if you want to get more download, update or support, you need to buy a new one. So, i recommend you choose the auto-renewal one. In case, you don't like you can cancel recurring fee. I am looking for a tool smart enough to take product weight/size information, pull USPS/UPS rates, and charge the user the lesser of the two. I'm regret to inform you that at this time our product don't include some feature as you want. But I think that is nice feature, we will try to best to do it in the future. And I will contact with you via email that you provide (info@blingyourband.com). We are interested in your extension, but we would require some modifications. We would like to display "shipping for this product to your country is : XXXX" without popup, since we only have one delivery method + would use IP" for locator.. Would this modification be possible by your team and how much would it cost us to have itn. Helo Aleksander, you are welcome for this type of customization!